Twenty-five years ago, in August 1993, the Mighty Morphin Power Rangers – teen superheroes destined to protect the earth from evil-doers – debuted on television. 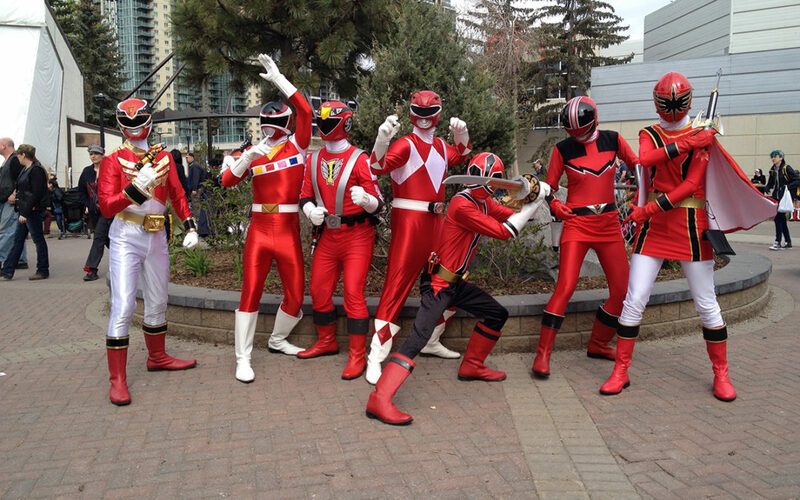 Though it may be a stretch to liken federal workers to the Power Rangers, both groups have a mission to serve the public and both understand the need to adapt, or morph, to overcome the challenges before them. When it comes to building tomorrow’s federal workforce, government leaders agree that technology is outdated, retiring personnel are leaving knowledge gaps in their wake, and employees need to be rewarded based on performance (not longevity). Government agencies at all levels face a pressing challenge to build and sustain capable public servants who can effectively deliver on the mission and serve the public into the future. Industry, too, is on a quest to develop a future workforce that leads through ever-evolving technology, culture, economic, and political changes that are playing out around the globe. Let’s take a look at the NAPA recommendations, so together we can act to build a national (government and commercial) workforce for the years to come. Principles: Mission First. Principles Always. Ensure Accountability for Both. In the first white paper, NAPA laid out three foundational elements for a human capital policy: put mission first, drive principles of the merit system always, and ensure accountability for both. metrics to confirm behavior and guide next steps. Without these measures, organizations will make ad hoc decisions, and leaders – even when the outcome is positive – won’t know why. 1) Build Flexibility in the Pursuit of Mission. Industry leads in this area. Though federal leaders, too, know what systems they need to do their jobs, today’s government technologies are outdated, siloed and stuck behind inefficient procurement regulations. NAPA emphasizes the key to this recommendation: “in the pursuit of Mission.” Technology for technology’s sake isn’t the answer. Instead, human capital technology solutions must address a challenge or advance a mission. Flexible systems will support tying employee recruitment, learning and development and talent management initiatives to the mission and goals. And they must be proven. In our fast-paced, “show me” culture – with growing availability of innovation centers to test software and solutions – leaders should feel pretty confident that what they’re buying will work for them. 2) Replace the over-defined job specifications of the current system with a competency-based, talent management model. Government has earned a bad rap when it comes to job descriptions. Outdated HR systems and OPM’s complex system of job classifications and qualifications has led to a heavy, inflexible program focused on compliance, not performance. It’s not surprising. No commercial company has to contend with a workforce of more than two million employees! (And that figure doesn’t include the U.S. Postal Service). Still, government will need to shift to thrive. Commercial entities, too, need to tie workforce optimization efforts to strategic organizational goals. Recruiting, learning management, talent management and performance management technologies should be tied to a competency model that informs leaders about what employees know and how they contribute to the mission and goals. Start with detailed questions about the organization’s goals, challenges and workforce issues. Once you identify the data that would inform these forces, find an appropriate competency management technology to help collect the data and measure results. We know it works. As many of our clients adopted a competency-based approach, their performance improved dramatically. 3) Reinforce the pursuit of merit-system principles. Government struggles to appropriately recognize and reward federal workers based on what they know and how they perform. It’s been true for years, but the push for change has garnered headlines in recent years and months, as older civilian workers retire and agencies struggle to recruit skilled employees – many of whom expect fair, merit-based performance appraisals. Commercial entities are not bound by the same rules that bog down federal agencies. But it’s important for all of us to create and sustain cultures that celebrate top performers. 4) Lead from the center. 5) Transform the federal government’s human capital backbone. To pull off any of the above recommendations, federal government needs to get out from under the outdated policies and laws that govern federal agencies and their employees. Again, commercial entities have enormous flexibility compared to government. Yet, we are alike in the need for a fresh look at the policies we have in place, the assumptions behind them and an honest assessment of whether we’ve set ourselves up for success. Are you ready for a competency-based approach to developing your government or commercial workforce? Read our Optimize Your Workforce white paper for some tips. Or contact us to learn whether our competency management system can help you reach your goals.